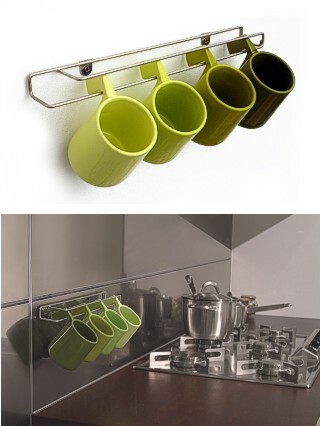 Joseph Joseph have been working with Italian design artists Caterina Faddo and Fran Santos who have designed this original wall mounted mug rack. The mugs being dishwasher safe, are a practical and attractive addition to the modern kitchen. The rack size including mugs is 35 by 12 by 15 cm (14 by 4 by 6 inches approx).